MarketSaw - 3D Movies, Gaming and Technology: THE GREAT GATSBY To Be Shot In 5K With RED Epic's And 3ality Digital Rigs DEFINITELY In Native 3D! THE GREAT GATSBY To Be Shot In 5K With RED Epic's And 3ality Digital Rigs DEFINITELY In Native 3D! Here's final confirmation that Baz Luhrmann's THE GREAT GATSBY will be shot in 3D. Moreover, cinematographer Simon Duggan is shooting it in an astounding 5K resolution with the RED Epic cameras using 3ality Digital rigs! Panavision is providing those camera / rig setups. Apparently Duggan and Luhrmann completed tests last month in NYC and were "very happy" with the results. “It’s not that much bigger than a standard film camera,” Duggan said, adding that the EPIC also allows shooting hand-held or with a Steadicam. Shooting starts in August next month in Australia and wraps in December. The movie is an adaptation of F. Scott Fitzgerald's Long Island-set novel, where Midwesterner Nick Carraway is lured into the lavish world of his neighbor, Jay Gatsby. Soon enough, however, Carraway will see through the cracks of Gatsby's nouveau riche existence, where obsession, madness, and tragedy await. 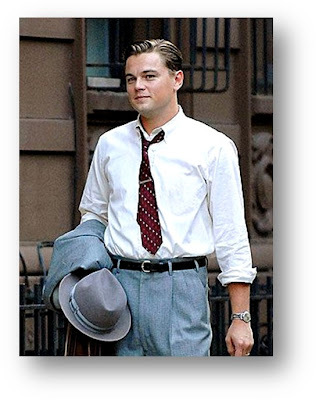 How about Leonardo DiCaprio (Jay Gatsby), Joel Edgerton (Tom Buchanan), Tobey Maguire (Nick Carraway) and Carey Mulligan (Daisy Buchanan) for the core cast? Apparently Alex Proyas PARADISE LOST will be taking up a sound stage during that shooting window as well, sharing space with Luhrmann at Fox Studios Australia. Of course this isn't the first major movie to be shot with the tandem of RED Epics and 3ality Digital rigs - THE AMAZING SPIDER-MAN and the two HOBBIT movies are also utilizing the setup. More when I get it!! Thanks for the heads up on this Mark!